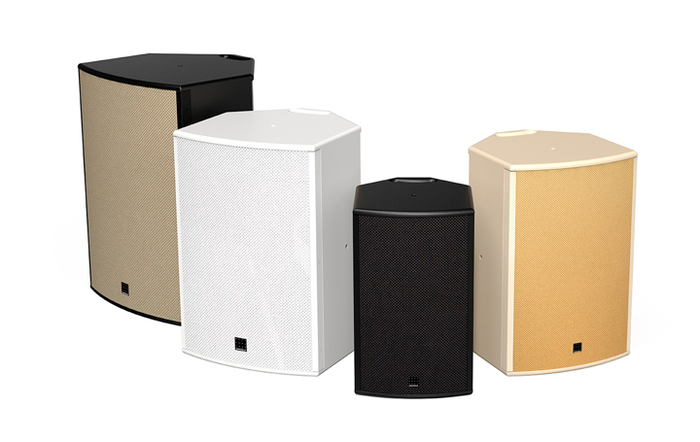 UDX 15, Full-Range PA Speaker Cabinet from Amadeus in the UDX series. Amadeus Audio announces the relaunch of its UDX passive loudspeakers after more than 20 years of absence from the market. Launched in 1980 and commercialized until 1992, the Amadeus UDX loudspeakers are back in 2013 in an updated version. The loudspeakers remain passive and can be used both in FOH full range or floor monitor configurations. The UDX Series features four 8", 10", 12" and 15" bass reflex loudspeakers, the first two models are equipped with coaxial 1" tweeters, and the other with 2" tweeters. The connectors used on these models are SpeakON NL4. All the loudspeakers of the UDX Series feature multiple M8 insert points so that they can be pole mounted (35mm) or wall or ceiling mounted using König & Meyer accessories. Amadeus offers a large selection of colors for both the cabinet and the cloth grill. Last, presets for digital active filters can be downloaded from the manufacturer's website. The UDX 8 handles a 250W AES (700W peak) power and offers a frequency response from 65Hz to 20kHz. The impedance is 8 Ohms, the sensitivity is 96dB and the max SPL is 123dB. The crossover frequency is 1.6kHz. The UDX 10 AES handled power is 200W (560W peak) and the impedance is 8 Ohms. Amadeus announces a frequency response between 65Hz and 20kHz, a 97dB sensitivity and a 125dB max SPL. The crossover frequency is 1.8kHz. For the UDX 12 you can increase the power to 350W (AES, 980W peak) at 8 Ohms. The bandwidth is extended from 50Hz to 20kHz, sensitivity is 99dB and the max SPL is 129dB. The crossover frequency is 1.2kHz. Last, the UDX 15 can handle a power of 500W AES (1400W peak) at 8 Ohms. The bandwidth is 50Hz - 20kHz, sensitivity is 100dB and max SPL is 131dB. Crossover frequency is set to 1kHz. The 2013 edition of the Amadeus UDX Series retails from 1090€ to 1990€ exc. VAT. 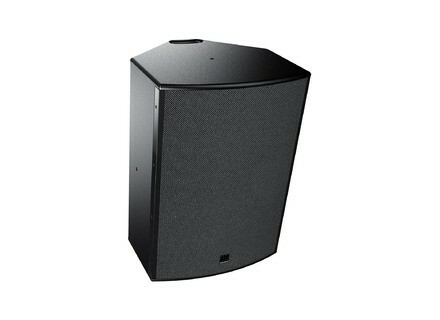 Nexo LS18 subwoofer, the GEO S12 companion Nexo introduced the LS18 compact subwoofer, which is compatible with the GEO S12 line array speakers and PS15 full range Series. Bose completes its PowerMatch Series Bose will launch this summer three new PowerMatch power amplifiers, which will add to the existing PM8500 released a couple of years ago. [Musikmesse] RCF SUB 8004AS subwoofer RCF introduced at Musikmesse 2013 the SUB 8004AS subwoofer, third model in the SUB family which already features the 8006AS and 8003AS.